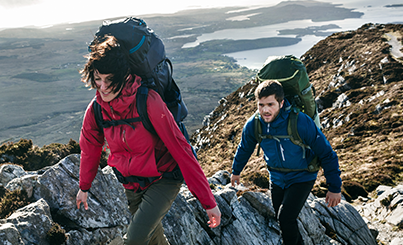 Outdoor apparel not only has to keep you warm – it also has to be as windproof and water repellent as possible. And that while maintaining breathability so that moisture can move outward where it can evaporate, ensuring a comfortable microclimate when you start to sweat. It needs to help you be prepared for all kinds of weather in the great outdoors so that you remain comfortable, even under difficult conditions. Specialized fabric membranes make all of this possible. A membrane is a thin, semipermeable layer laminated to a textile surface. It has a sophisticated structure that allows water to simply bead up on the outer surface, while smaller water vapor molecules can still move outward through it. While many manufacturers continue to rely on PTFE (which is of concern from both a health and ecological standpoint) for their membranes – we at VAUDE are taking a different route. So even if there is a sustainable membrane in your apparel, you can still wash it with confidence. Please note each product’s unique care instructions. 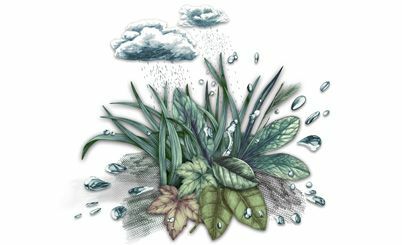 Fluorocarbons (PFCs) are used in all kinds of outdoor apparel to waterproof textiles by providing them with a water-repellent surface. A product’s membrane often consists of PTFE (polytetrafluoroethylene) or ePTFE (expanded PTFE). PTFE is also known for its use on cookware in the form of Teflon. Hazardous fluorocarbons, such as PFOA, are required for the manufacturing of these products. Fluorocarbons, however, have now been classified as extremely critical for both the environment and human health. The disposal of PTFE in particular is highly problematic. Extremely toxic vapors are produced during combustion, which is why they can only be disposed of as hazardous waste at great expense. At VAUDE, we decided some time ago to make a contribution to greater environmental protection and to refrain from using these chemical compounds as far as possible. Instead, we are able to offer a variety of ecological alternatives, such as Windproof Green & Ceplex Green products, which are safer for both humans and the environment. All VAUDE membranes are 100% PTFE-free. VAUDE uses the Ceplex Green Membrane label to identify products that feature sustainable membranes. These consist of either polyurethane (PU) or polyester (PES). In the polyurethane version, we have added up to 25% sCafé fiber. This is a special material made from recycled coffee grounds. Biobased sCafé consists partially of renewable raw materials. But its greatest assets are its functional properties. It makes jackets, sweaters and trousers waterproof and breathable without burdening the environment unnecessarily. The Ceplex Green membranes made of PES include approximately 25 % recycled polyester. For this membrane, valuable raw materials don’t end up in the landfill, but are immediately re-melted and processed. 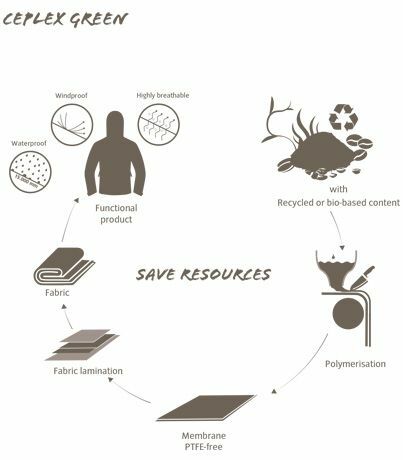 The proportion of recycled material in the Sympatex® membrane used in our footwear is even higher. This consists of 100 % recycled polyester.